Venus in Leo – The way we look and present to others regarding love life is all influenced by Venus. This planet represents the feminine side in us and it is important to know where it is positioned on our birth chart. Now, let’s learn about Venus in Leo. The Sun is the ruler of Leo and fire is its element (just as Aries and Sagittarius). As the Sun is a powerful masculine energy, the individuals will be influenced by the masculine combination of the feminine energy of Venus. They will position themselves in a sensitive but taxing way. Venus in Leo knows well what they want and do not save words or attitudes to show it to people. Owners of a very intense love energy, when they like someone, will dedicate themselves completely to the relationship. But, they desire (in fact, demand) the same devotion in return and accept no less than that. Like Venus in Cancer, they have this need to be loved. However, what happens with Venus in Cancer is that they expect this motherly love. Venus in Leo will prefer this worship as if they were kings. After all, the star in this love case is the King Sun. They are lush, difficult to go unnoticed and very vain. Normally, they have a high self-esteem and like to do everything related to the beautification of the physical body. Beauty spas, physical exercise and healthy eating. They love mirrors and are even close the border of narcissism. As you read this, you may find that Venus in Leo has a type of insensitive nature, thinking only of their own ego. But that is not true. They are very romantic and generous. They are capable of committing the loftiest follies of love when they are in love. The excitement of being in love is one of the energies that moves this Venus. They are creative and love making gifts and surprises for the loved one. They are happy to make the other happy, but of course they expect to be recognized for their romantic acts. Venus in Leo has this theatrical and dramatic thing. When everything is calm, they can start a foolish fight just for the movement. They feel pleasure in the cycle of heated discussions plus make up later. It is almost like an addiction, let’s just say not so healthy. The person who dates Venus in Leo has to be patient with this kind of thing. It is better to know how to identify when they do it on purpose. As you might imagine, their sexuality accompanies the hot personality. They are cheerful and charismatic, creating an inviting energy for those who are intimately related to them. They like to be the center of attention. 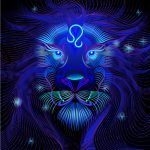 So if you are a bit shy you will even feel more comfortable in the presence of Venus in Leo in bed, since the focus will not be you. But, do not think that you will be totally forgotten. They are very affectionate, expansive and will take care of you very well. They will eliminate any tension in the air with the inherent spontaneity. It will be very difficult to resist who has Venus in Leo.